Joanne Clara is a composer, performer and recording artist currently based in London. Her commissioned work includes writing for the Hong Kong Philharmonic Orchestra, BBC Singers, New Perspectives Sinfonietta, Fidelio Trio, and Dulcinea Quartet. 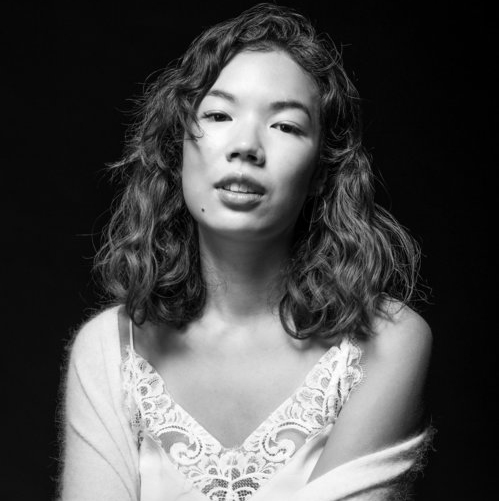 Last summer, she worked alongside American lm composers Mark Snow and Michael Levine at the ASCAP Filmscoring Program in New York, and is now working on a new short lm ‘Daughter’ directed by Christian Kinde. Her work has so far been shown in cities such as Hong Kong, Nanjing, London, Manchester, Vienna, Udine, and Boston. Since moving to the UK in 2005, Clara has received various commissions in both Asia and Europe to produce multimedia work for exhibitions and events such as the Sensing Spaces Architectural Installation at the Royal Academy of Arts, the Belle Shenkman Series for Michelangelo’s ‘The Entombment’ at the National Portrait Gallery. As a multi-instrumentist, she has supported and played with artists such as Emeli Sandés, Bobby McFerrin, Matt Corby, The Staves etc. She has also recorded for Mercury-prize winner Michael Kiwanuka, and Roo Panes, a UK band whom she performs and tours with regularly. This year, Clara has been recording various instrumental EPs that have been released via all major online platforms throughout the year. She has also been touring in the major cities of Asia, Europe and the Middle East to promote her latest releases since end of April.